£50 deposit to secure dates and cover damages. Refundable after stay should no damages occur. 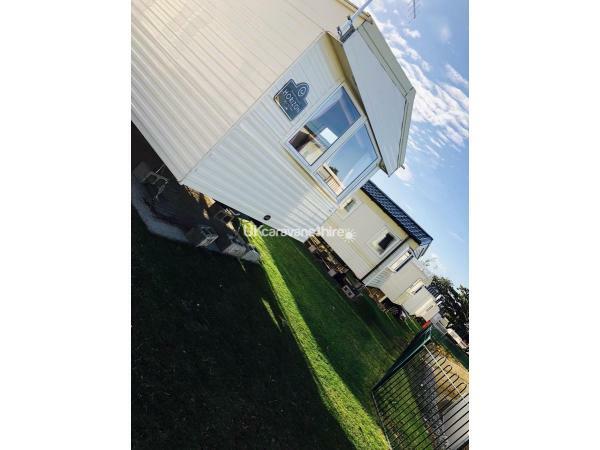 Our 2012 DELUXE ABI Horizon is situated on Pine Ridge, this is just a 2/3 minute walk from the main complex, the swimming pool is in view from the window! 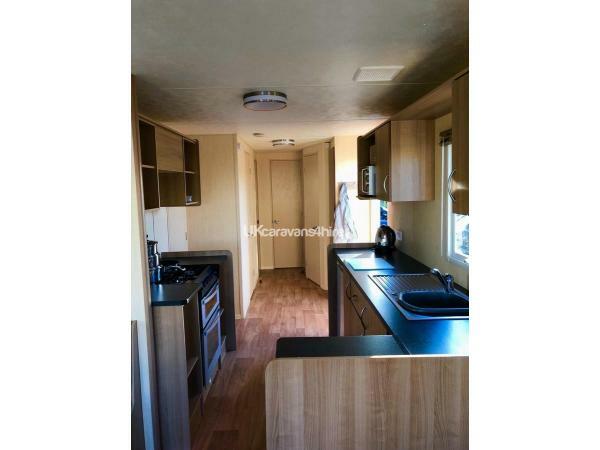 The caravan is heated throughout with electric plates in the three bedrooms & gas fire in the front room. 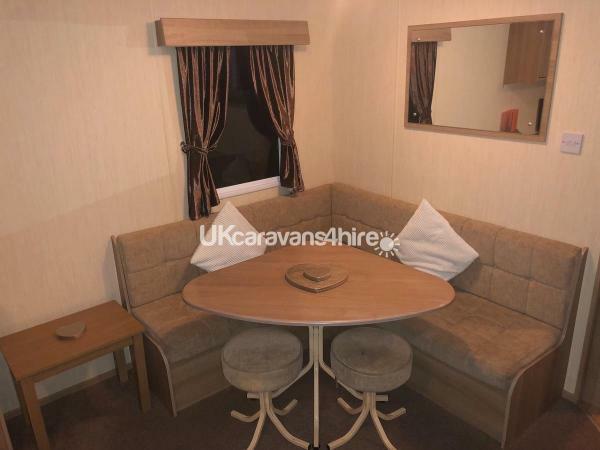 The caravan is fully equipped with a travel cot, highchair, hair dryer, TV, DVD Player with DVD's and an iron. We have spaces available to park 2 cars outside the caravan. Bedding is provided by ourselves (PLEASE NOTE bedding is NOT provided for the travel cot) but guests are required to bring their own towels. Funworks passes are NOT included in booking prices. 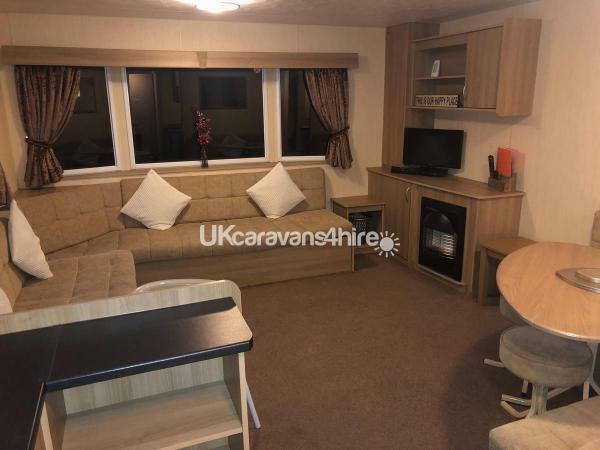 The caravan has 3 bedrooms; one double (hair dryer & travel cot) and two twin bedrooms and one pull out double bed in the front room. 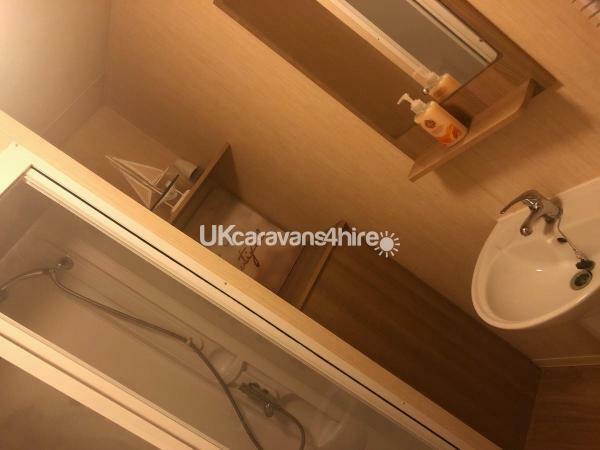 There is one bathroom with a WC and shower, and one separate WC. 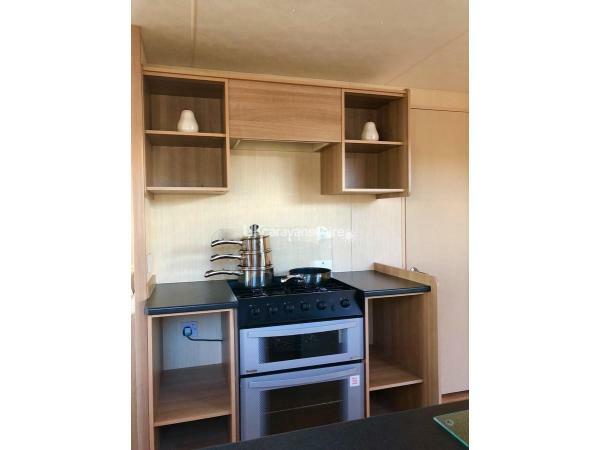 The kitchen comes equipped with a toaster, kettle, gas oven & hob, fridge with small freezer compartment and iron. All pans, cooking utensils, plates, cups and cutlery to cater for 8 guests. There is also children's bowls and cups as extras. 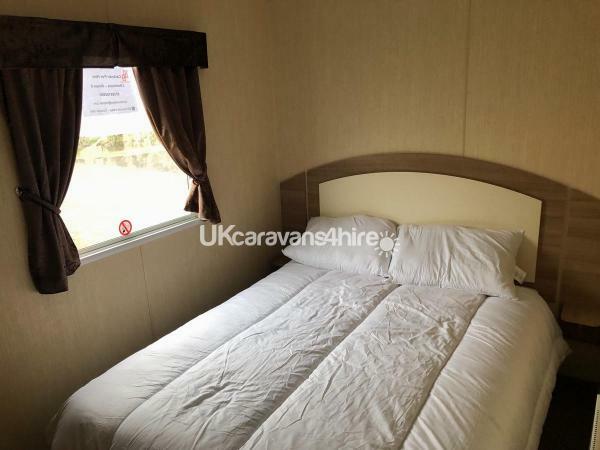 On booking a £50 deposit is required to secure your booking and cover and damage. This is refundable after your stay if no damage has occurred. The balance of the holiday may be made in instalments but the balance must be paid 4 weeks prior to arrival date. 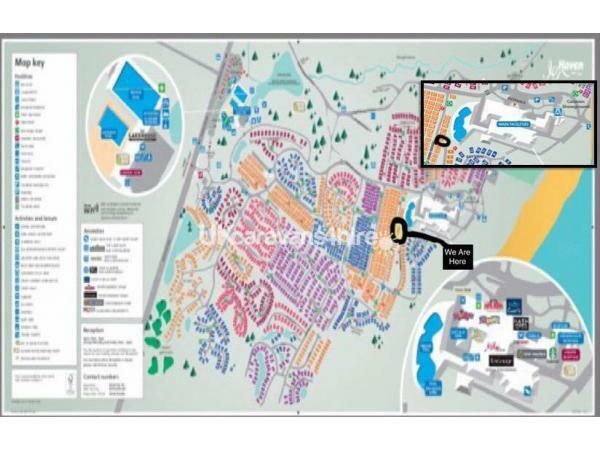 On site there are many facilities available on site including 3 swimming pools; 2 indoor, 1 outdoor. Both indoor pools have water activites available to book. Also to do is; Go Karting, Boating, Archery, Football, Mini Sports, Tennis, Fishing, Crazy Golf, Ariel Adventure, Pic 'n' Paint, Sand Art, Bungee Trampolines, Segways, Tots Gym and Sensory Tots. The park also has a fair ground with rides to enjoy and a play park. 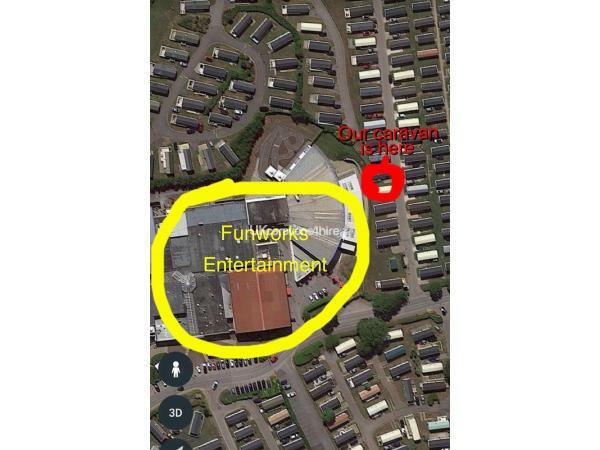 The park has resturants onsite aswell as a Fish & Chip shop, Papa Johns, Starbucks, Millies Cookies and Mini Market. Entertainment is availbale during the day aswell as night. A bus runs local from the park. WE ARE ALSO ON FACEBOOK. 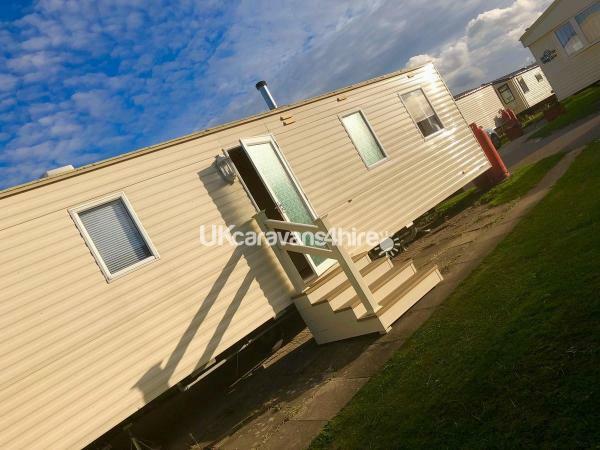 'E9 Primrose Valley - Caravan Hire'. Bookings are also taken on there. Great caravan, on the Fun Works Entertainment doorstep! 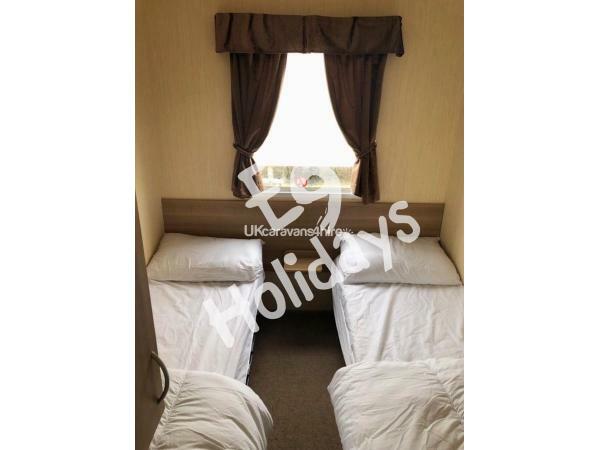 Lots of extras in the caravan such as travel cot & iron which comes in handy and reduces luggage from home! Will be booking again! 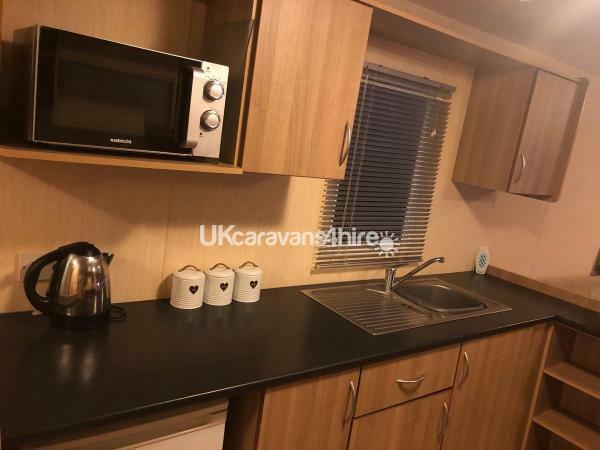 Great caravan lovely and clean with the added extra of home comforts and a great location on the park we loved it and so did the kids highly recommend this!